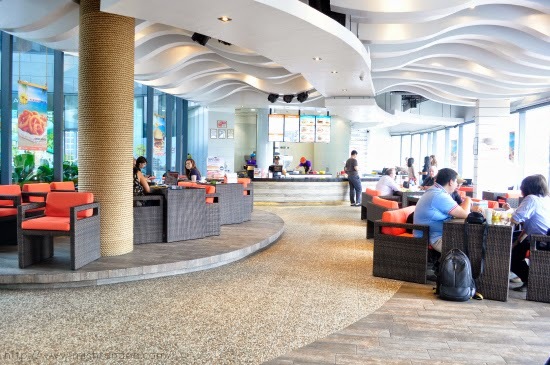 The summer vibe is indeed felt all year round at CaliBurger! Ever since CaliBurger opened its doors last February 2014, it has brought together the California lifestyle under one roof: great food, great service, trendiest design, art, and music. 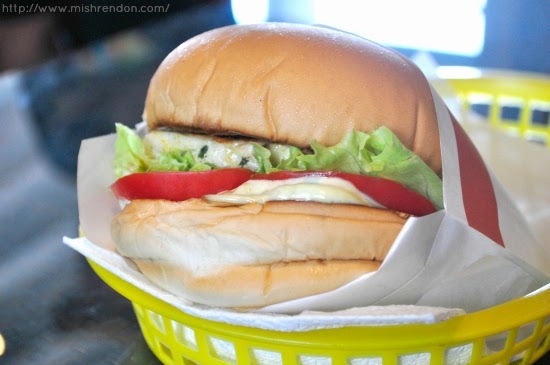 Not only did CaliBurger brought a glimpse of California right here in the Philippines, they are also dedicated in bringing the highest quality, made to order burgers and only use pure, fresh, and simple ingredients that are “Always Fresh”. Just last year, they launched their BBQ Bacon Cheesburger, Onion Rings, and Cali Sweet Wings and the Cali Smokehouse Burger. Recently, they have come up with two new (healthy) variants of burgers and seven new and exciting variants of milkshakes that would surely complete your summer! And at an event held last week at their Century City Mall, Makati branch, we were able to try out these! Super love the new comfy seats at their Century City Mall branch! The latest addition to the CaliBurger’s menu this year is the Spicy Chipotle BBQ Chicken Sandwich. 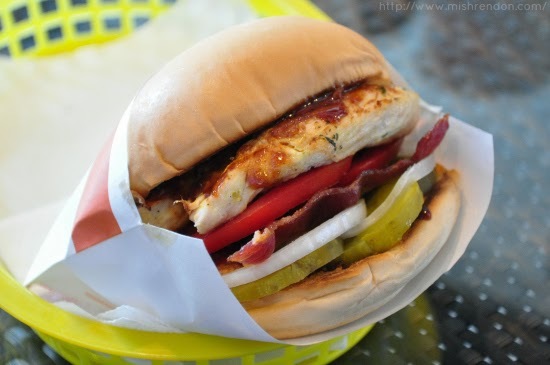 This one's made with juicy and tender lemon & herb marinated chicken breast, garden fresh red plump tomatoes, crispy bacon, tangy pickles, sliced onion, and their house made spicy chipotle BBQ sauce. Another addition to their menu is the Cali Chicken Sandwich! This one's made with grilled succulent chicken breast, garden fresh vegetables, and mixed with their special avocado sauce. I really cannot tell which one is my favorite between the two because they are so different from each other. What probably makes the two alike is that they are both healthier choices since they're made of chicken breast. Aside from that, each has its own edge. I like how tolerable the spiciness is of the Spicy Chipotle BBQ Sandwich. And it has crispy bacon which makes it a winner! It is best paired with any of their milkshakes so you have something to counter the spiciness of the sauce. With the Cali Chicken Sandwich, I particularly like the sauce. It is very creamy! The avocado flavor is very mild, too. It won't taste weird for someone who is to have avocado sauce for the first time. In addition to CaliBurger’s classic milkshake flavors (Chocolate, Vanilla, and Strawberry), there are 7 Amazing New Milkshake flavors that are launched this summer These are the Tutti Frutti, Bubble gum, Butterscotch, Coffee, Mixed Berries, Blueberry, and Rootbeer. 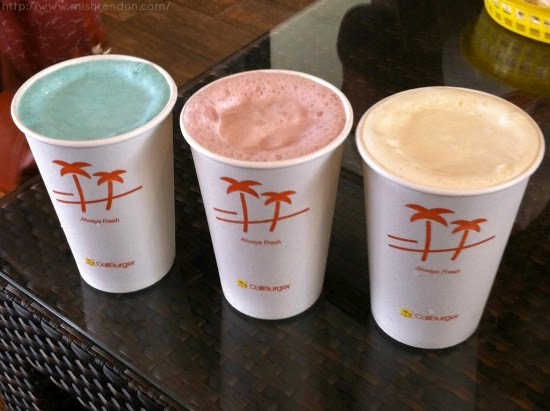 All of CaliBurger’s milkshakes are hand-spun and made with real rich creamy ice cream and fresh milk! 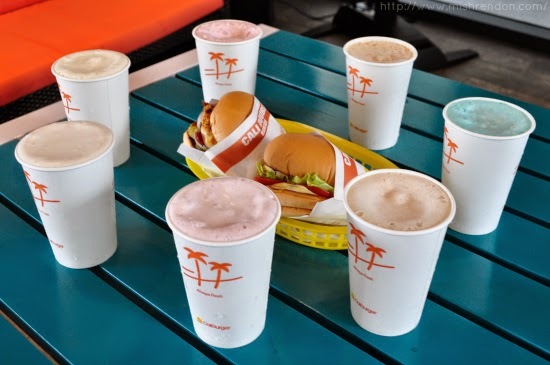 I have always been a fan of CaliBurger's milkshakes! I would always have Vanilla milkshake every time I visit CaliBurger and it never fails to make me feel satisfied afterwards. During the event, I was able to try out the Coffee variant and I could say that I now have a new favorite! It was creamy and thick since it's made with real ice cream. The coffee flavor is very mild and it's not too sweet as compared to the other flavors. Driven by the commitment to provide the best, most attentive and friendly customer-service and engagement, CaliBurger has been taking technology by the helm, creating activities such as Cali Trivia Nights, Xbox Kinect interactive play, live NBA viewings, LIVE viewing parties like the “Pacquiao vs Mayweather” fight this May 3rd, as well as private party packages at Century City Mall. Many things are also in the pipeline such as new menu items that are worth breaking that diet for.